Gareth graduated from the University of York in 2015 with a BSc in Biology (with a year in industry). During his year in industry, he worked in the Jodrell laboratory at Kew Gardens, investigating natural product chemistry of plants. 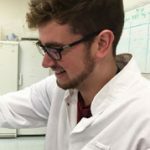 He developed an interest in chemical ecology, influencing his decision to investigate the role of archaea in the biogeochemical cycling of volatile compounds for his final year project. Involvement in other research groups includes Novozymes Biopharma and the British Geological Survey. Gareth’s research will include using analytical chemistry techniques to identify secreted compounds, examining their role in biocontrol and PGP (Dr Mike Birkett, Rothamsted Research) and molecular techniques, microbiology and bioinformatics to investigate biocontrol and plant growth promotion (PGP) of the Trichoderma fungus (Prof Murray Grant and Dr Chris Thornton, University of Exeter). Laura graduated from the University of Warwick in 2016 with a BSc in Biological Sciences. During the course of her degree Laura attended the Gatsby Plant Science Summer School 2014 and in the following year was awarded a place on the Vienna Biocenter Summer School programme, where she worked at the Gregor Mendel Institute of Molecular Plant Pathology. For her final year research project Laura focused on the use of the CRISPR/Cas9 system to delete gene clusters and therefore determine their roles in plant development. Her time in Vienna encouraged her to pursue her interest in plant pathology. She is currently working with Prof Kim Hammond-Kosack (Rothamsted Research), Dr Michael Deeks (University of Exeter), as well as collaborating with Dr Christine Faulkner (John Innes Centre) to investigate the cellular and molecular mechanisms used by the fungus, Fusarium graminearum, needed to allow for plasmodesmatal growth within its host plant, wheat. Sarah graduated from the University of Bristol in 2016 with an MSci in Biology. Her final year project in Prof Alistair Hetherington’s lab investigated the role of a respiratory burst oxidase homologue in stomatal function and development. 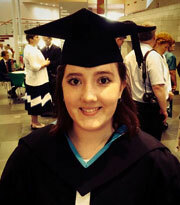 During her undergraduate degree Sarah also worked in the Fungal Molecular Biology lab, supervised by Dr Colin Lazarus, concentrating on recreating secondary metabolite biosynthetic pathways in a model fungal species. Her current research now aims to utilise genome editing techniques to lower acrylamide levels in wheat. Acrylamide is a Class 2a carcinogen which forms from free asparagine during cooking and processing. Sarah aims to develop a variety of low-asparagine wheat through the use of genome editing techniques. Lieselot graduated from the University of Aix-Marseille (France) in 2010 with a BSc in Environment and Biology and from the University of Lille (France) in 2012 with an MSc in Management and Evolution of Biodiversity. Her Master’s research projects were focused on studying tolerance and accumulation of cadmium and zinc in Arabidopsis halleri, looking at possible effects of trace metals on drought tolerance and the effects of multipolution. After her MSc, Lieselot studied the Effect of silver nanoparticles on Eseinia fetida for one and a half years. In 2014, started as a Research Technician at Rothamsted Research where she provided technical support to the team whilst developing an interest in the study of the evolution of resistance to herbicides. 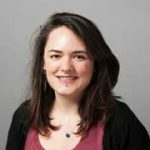 Lieselot’s PhD started in September 2017 and is based at Rothamsted in partnership with the University of Exeter (Penryn campus) on “Re-winding the tape: experimental evolution of resistance to herbicides”. Her project is under the supervision of Dr Paul Neve, Prof Angus Buckling, Prof Nick Colegrave and Dr. Steve Hanley. 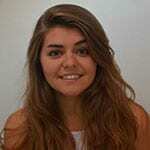 Mollie graduated from the University of Bath in 2018 with a BSc in Biology. As part of her degree, Mollie completed a Professional Placement Year at Rothamsted Research where she helped investigate the potential of increasing seed yields by increasing ovule number per pod. This work sparked an interest for agriculture and food security, particularly manipulating yields to meet future agricultural demands. Mollie’s passion for plant science was cemented by her University plant-pathogen interaction Research Project and her Millennium Seed Bank summer internship, leading her to choose a PhD that combined fundamental and strategic research focusing on seed yields.Mollie will be working under the supervision of Dr Smita Kurup (Rothamsted Research) and Prof Rod Scott (University of Bath) on a PhD project investigating the use of tissue-specific expression of brassinosteriod-related genes in Arabidopsis thaliana to increase ovule number and subsequently seed yields.